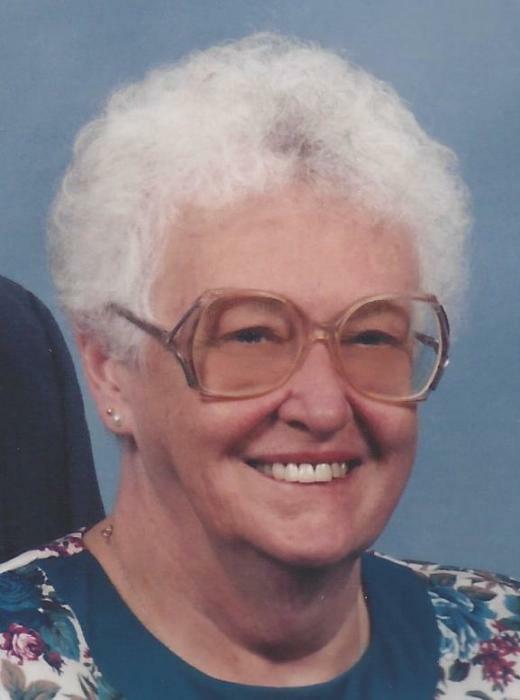 Marion (Hausman) Wheeler, 82 of Valparaiso, passed away Thursday, June 21, 2018. She was born December 15, 1935 in Philadelphia, Pennsylvania, the daughter of Harry C. and Ida M. (Dean) Hausman. On October 14, 1961 in Gary, she married Robert G. Wheeler, Jr., who preceded her in death October 17, 2013. Marion was a cook at the Old Style, Partners Three and Valparaiso University retiring after many years. Surviving are her daughters, Christine L. (Tim) Hildebrand of DeMotte and Ruth M. (Everett) Pullins of LaPorte, 9 grandchildren, and 3 great grandchildren. Her son Robert G. Wheeler III, her parents and a sister Ruth May Hammett also preceded her in death. Marion loved gardening, canning, cooking, traveling and in her younger years roller skating. Visitation will be held Tuesday, June 26, 2018, 4-8 PM, at Bartholomew Funeral Home, 102 Monroe St., Valparaiso. Funeral Services will be at 11:00 AM, Wednesday, June 27, 2018, at Bartholomew Funeral, Pastor Jim Buscher officiating. Entombment will be in Graceland Cemetery, Valparaiso. Memorial Donations may be made to the American Heart Association.